Ever thought ‘no one ever wins those competitions on Facebook’? I used to think that too. I was wrong. People win – I won! 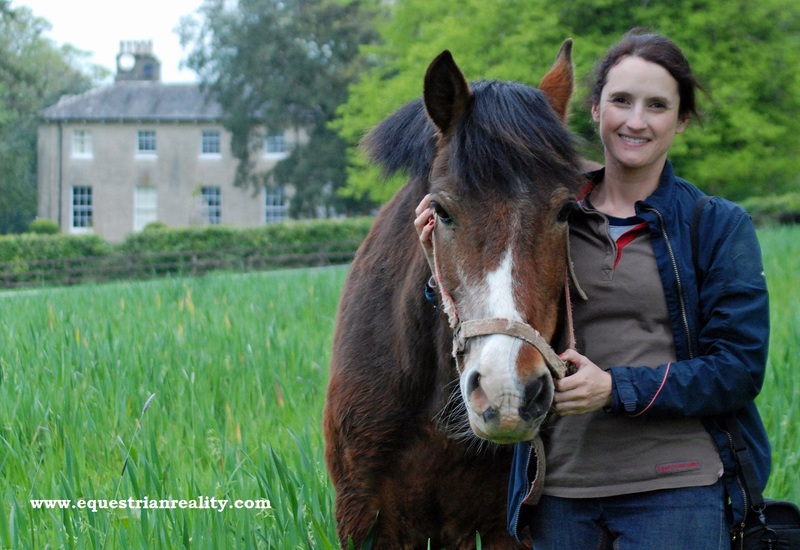 Most recently I won a fantastic prize of a two day trip to Crossogue Equestrian near Thurles in Co. Tipperary in Ireland. My trip included two nights stay, meals and four lessons. Having ridden at Crossogue many years ago I was delighted to get an opportunity to head back and even more delighted when my friend Dani decided to book in to come with me. Last Thursday we headed off for our road trip. 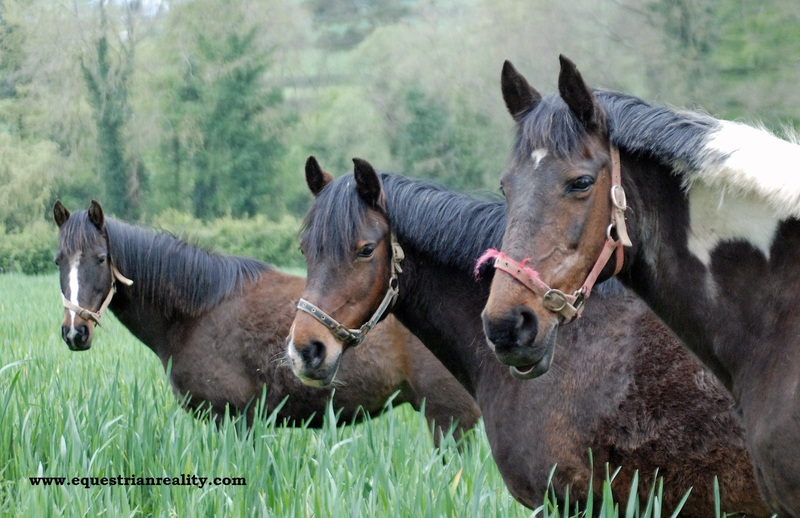 Crossogue is easy to get to by following the instructions on the website (http://www.crossogue-equestrian.ie/). We arrived to the main house, a beautifully maintained building and headed into the large dining room for a delicious home cooked meal. There we met two other guests from Finland, Sini and Virpi, who would join us in our riding sessions. 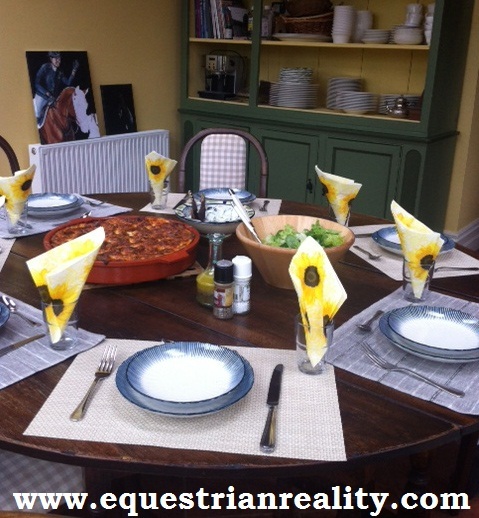 On Friday morning after a relaxed breakfast in the Crossogue kitchen we met with our instructor Becki to talk about our equestrian experience to date and to get an idea of what we would be doing. 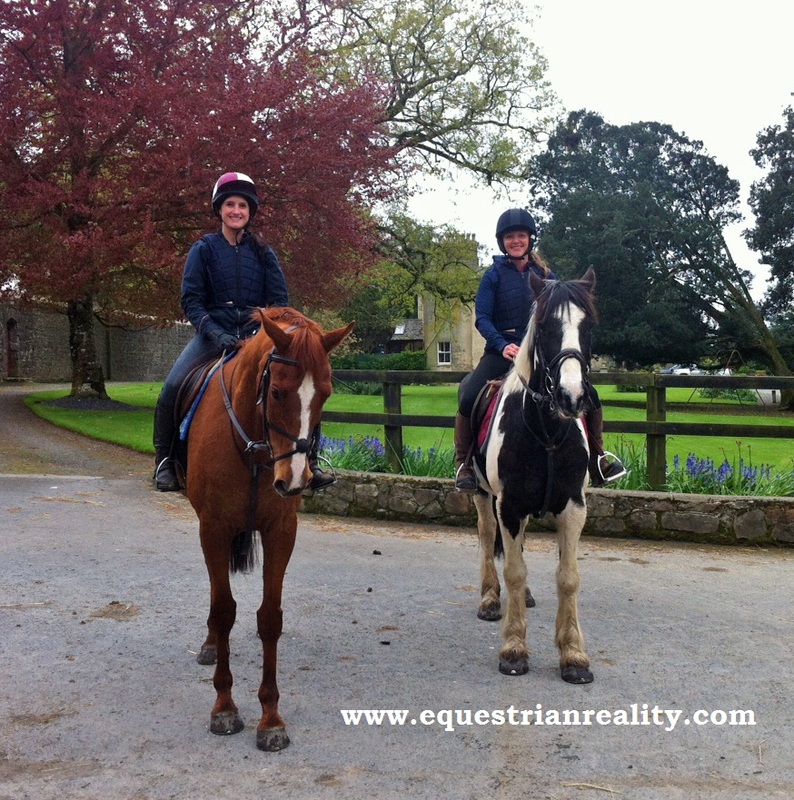 We followed Becki out to the stable yard and headed to the fields to collect our horses – bay Bowie for Dani and chestnut gelding Benny for me (what can I say – I love the orange ones!). After grooming and tacking our horses we made our way to the outdoor arena and started warming up. 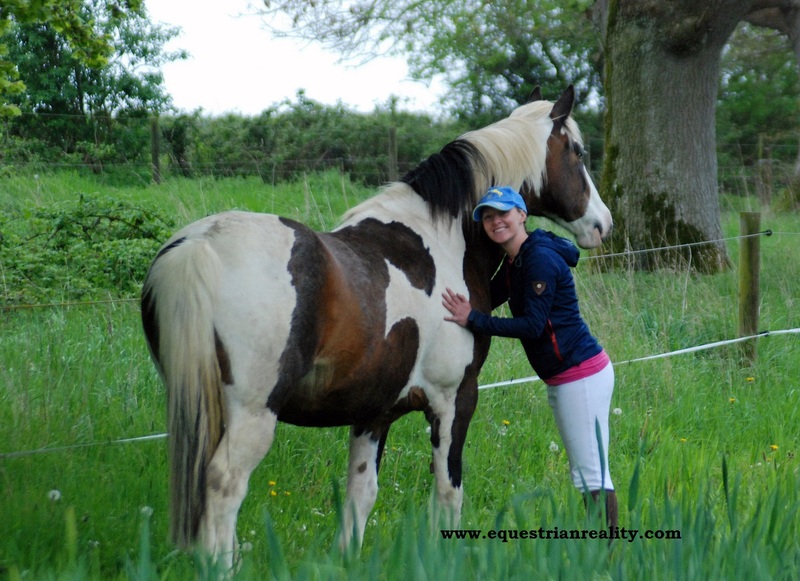 Becki watched us ride and then gave and worked through feedback with us – for me the feedback was to try and slump less with my shoulders, raise my head and to open my inside hand more to push Benny up from behind. Next came show jumping. 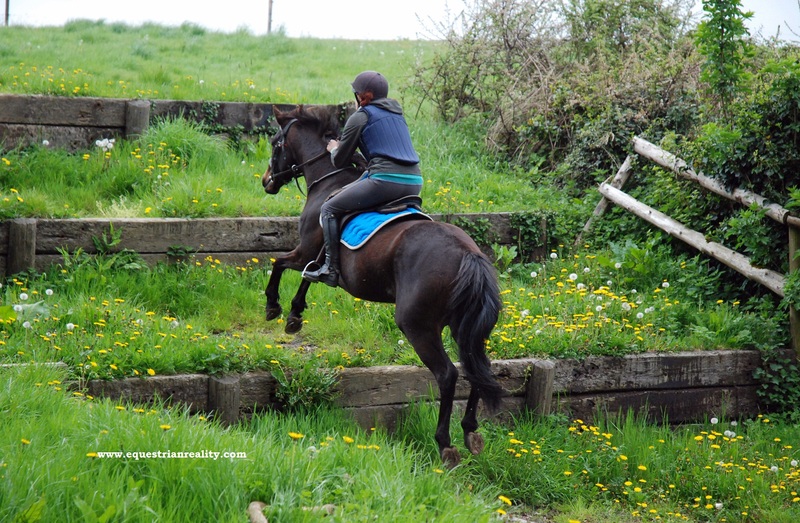 Benny gave me an amazing positive feel into fences and his honest enthusiasm meant I could focus on my position, approach and rhythm and leave the jump itself up to him. We finished our morning session and headed back to the kitchen for lunch. Sophie, who looked after all of the cooking on our trip, is one of those incredibly talented yet humble people. The lady can ride, cook and paint and I would have been very jealous had she not been so nice to boot! Our lunch included a giant home cooked lasagne which was the best I have ever tasted followed by home-made apple crumble. Dani and I reckon Sophie needs to make a cook book! After lunch we headed for a walk around the grounds taking photos. There are many trails around the estate which are beautiful to walk through. 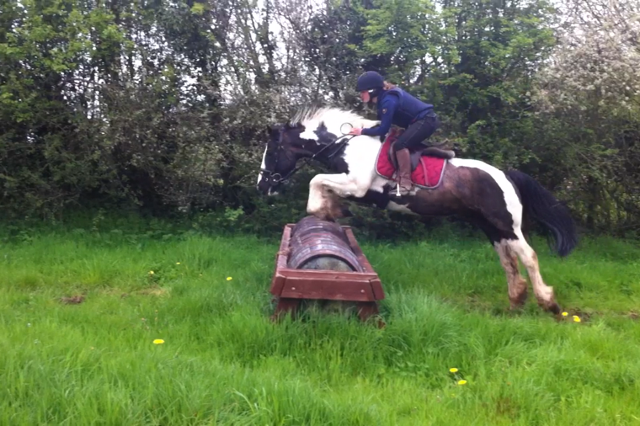 Our second riding session with Becki took place on the cross country course. We started by warming up over some logs and small fences uphill receiving feedback on our position, approach and pace. We progressed to the woods where the Crossogue steps and bank complex lies. Becki started us off jumping up one and then two steps. This was a challenge for my brain as we needed to approach from an angle which I have never done before but it was a very effective way to get us to think about our lines and take off point. Thankfully Benny did as asked every time even though at one point I rode a terrible line in and gave him a harder task than necessary. We went for a walk around the grounds that afternoon. 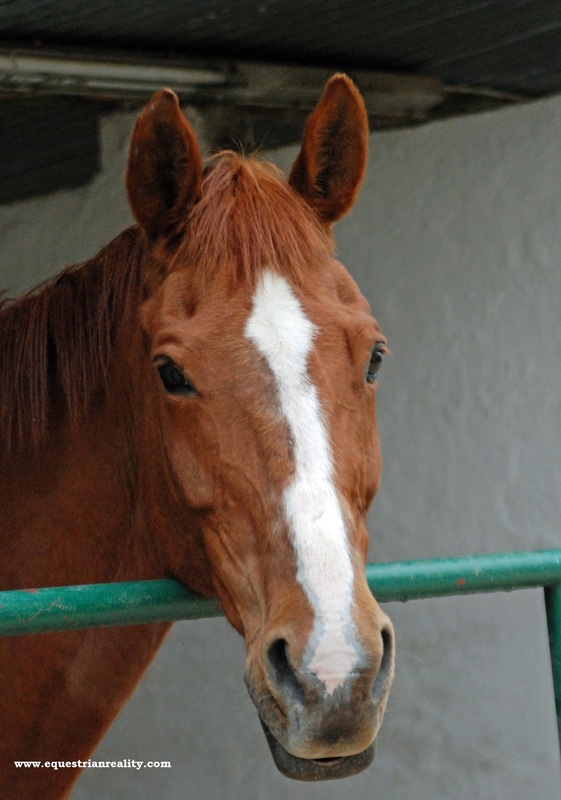 There are loads of trails around the estate with lovely scenery and loads of horses to say hello to. Back at the house Dani and I spent some time enjoying the collection of old books in the library in the front room especially a hunting directory from the 1920’s which was in perfect condition and featured really interesting descriptions of the horses required for each hunt as well as advertisements for side saddles. We headed back to the dining room for dinner and were joined by a family of three from Barcelona as well as Mark the owner of Crossogue. Guests to Crossogue are welcome to bring alcohol with them on their trip and we enjoyed great company over more delicious food (the chocolate almond cake is divine) and glasses of wine. 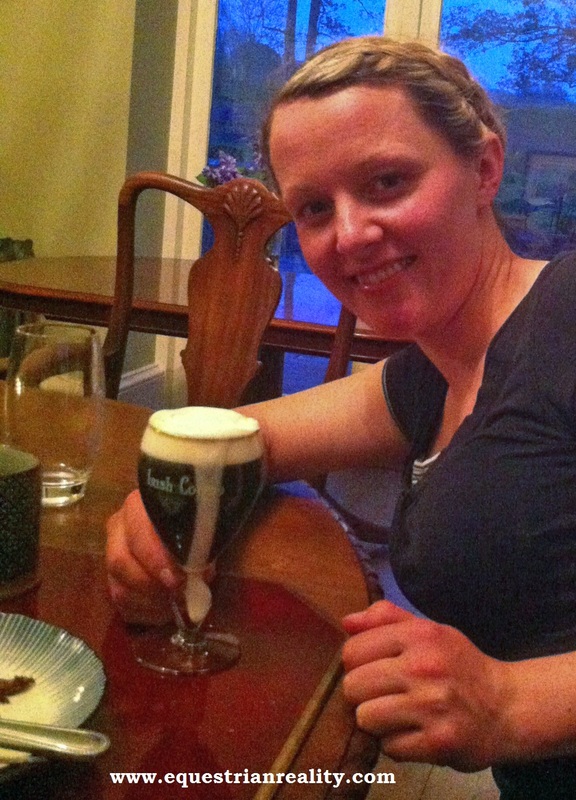 One tip for guests – if Mark offers you an Irish Coffee or a Hot Whiskey be sure to say yes – it will taste great! 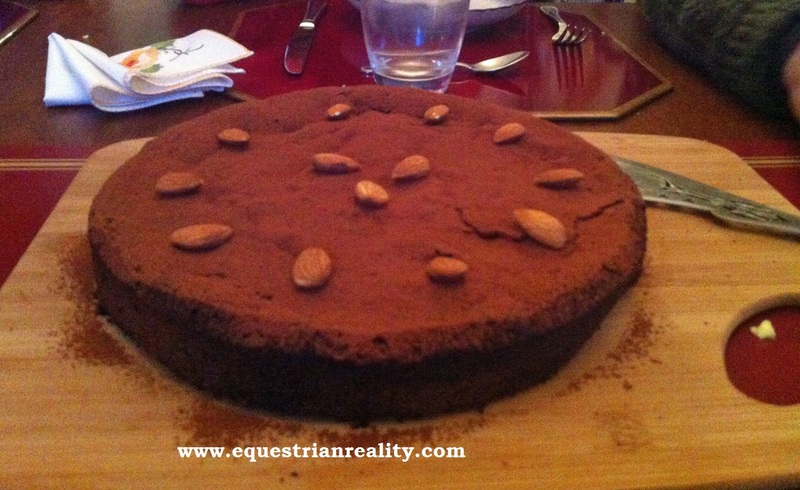 Home made chocolate and almond cake – this really hit the spot! The next morning Sini and Virpi set off for a lesson with Noel and Dani (this time on board piebald mare Patches) and I headed for a lesson with Becki. While warming up on the flat I tried to put into practice the tips I was given on Friday morning (my favourite was ‘picture an orange under your chin’). This really worked and before long Benny was riding for me in a low outline while working more from behind and I was able to sit with a more square shoulder as I was using my leg more and my hands less. We headed off with Becki back to the bank and step complex where she built us up from one step to two steps to tackling the main obstacle – three steps cut into a hill. Benny took on everything I put in front of him and I was able to work on my position and balance. Dani conquered her dislike of steps and came flying up the three on Patches. Next we headed to another field where several solid fences were laid out. Becki talked us through the approach to each fence and the thought and plan behind the structure and placing of the fence. We started over a wooden barrel fence and progressed to round topped solids and a table. Becki encouraged us as riders to make sure we made a decision when we got to our fences rather than just sitting and hoping for the best. At one point I met a fence a bit off but made a decision and took it long resulting in a big jump from Benny and me throwing the reins forward. I am not sure it was the right decision between going deep or going long but I learned to make one rather than just closing my eyes and hoping for the best! 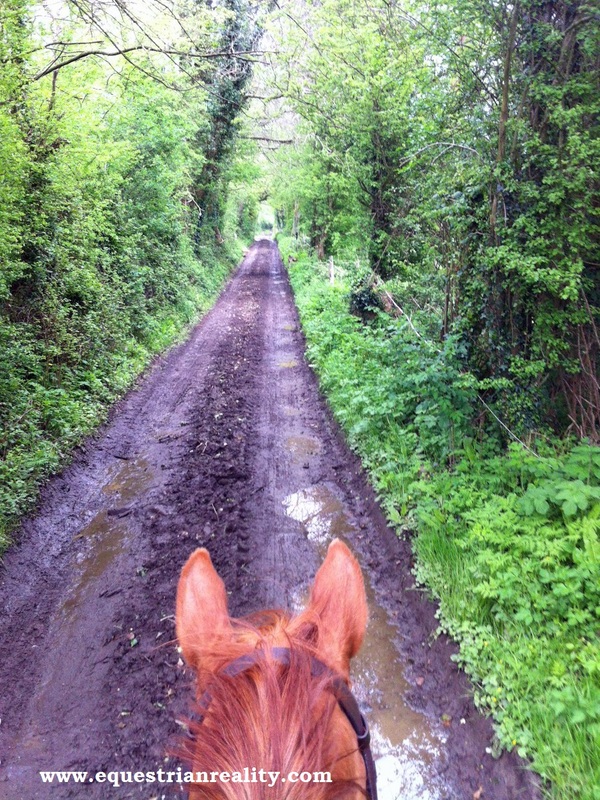 I approached again with a better canter and a half halt a few strides out and we met it spot on. After another delicious lunch we finished our trip riding as a group of five with Sophie and her mare Masai and instructor Noel. 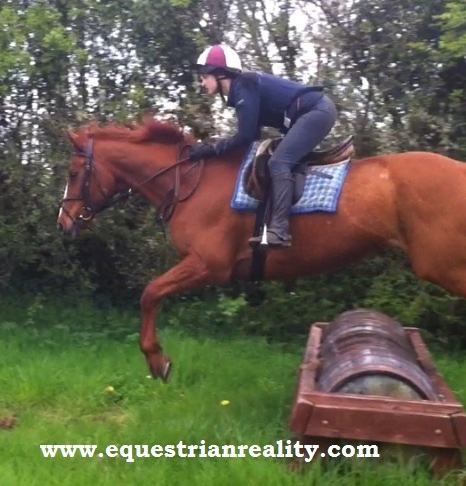 Noel took us through the steps once more and also had us ride down a bank with two strides to a bank up. I managed to go down the wrong and bigger bank the first time and almost ended up eating mane but actually sat up and rode the second time and had a better result. We put some fences together and rode a small course in the woods, jumped a few more fences in another field and finished up with a walk through the river to cool off. Sini said she didn’t do steps – she does now! Back at the stables we said goodbye to our horses, packed up and prepared to head home. I would like to say thank you to Mark for my fantastic trip which I really enjoyed. 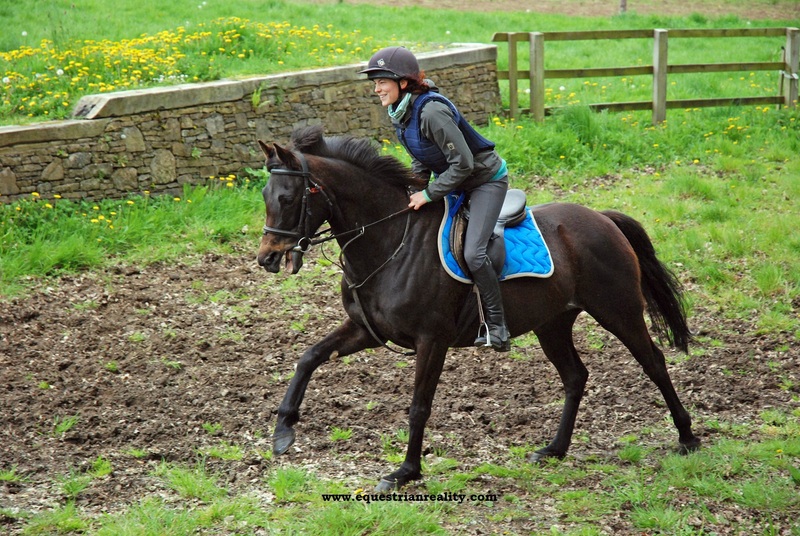 Anyone interested in visiting Crossogue for themselves should check out the website at (http://www.crossogue-equestrian.ie/). While the cross country has great appeal I personally would also love to come back for some more work on the flat with Becki. 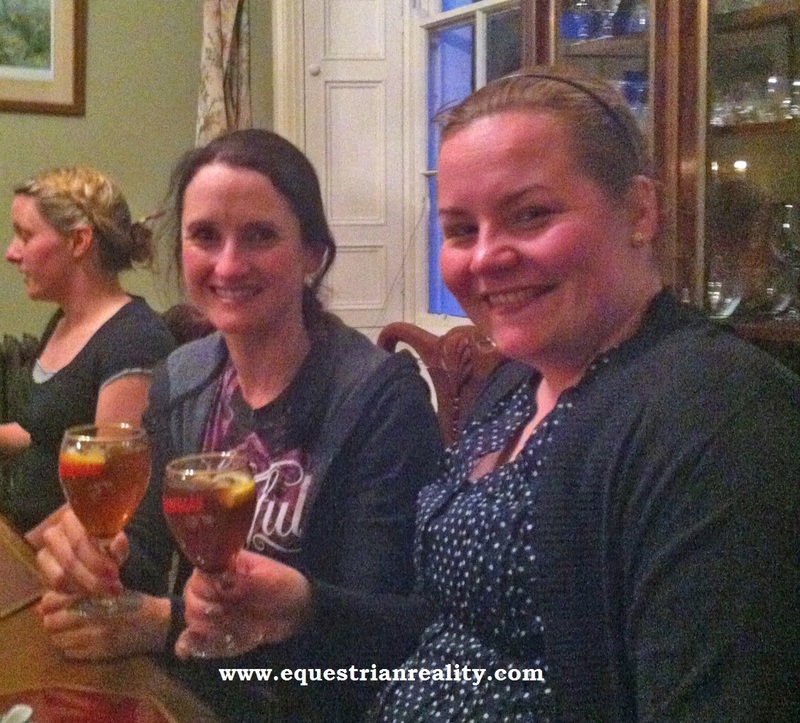 Even for those who do not ride I would recommend this venue for a night away as the food is amazing and the whole place has such a lovely relaxed atmosphere. 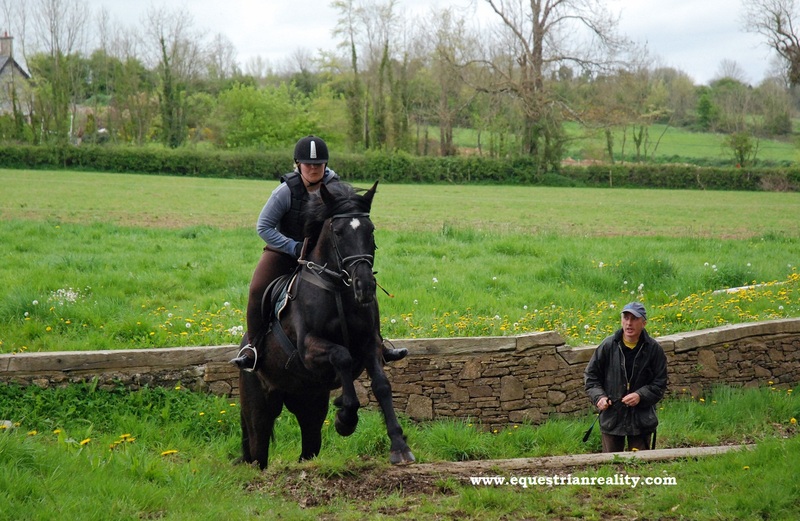 Posted on May 14, 2014, in Cross Country, Equestrian Photos, General, Irish Equestrian Venues & Pursuits and tagged cross country, cross country in ireland, Crossogue, Crossogue equestrian, crossogue house, horse riding, horse riding in ireland, ireland riding holidays, irish equestrian venues, tipperary. Bookmark the permalink. 1 Comment.